There are many reasons why someone chooses to buy into a franchise and run it as a side business while maintaining a full-time career elsewhere. Perhaps they are looking for an additional source of income to complement their existing work arrangement, or maybe they are interested in leaving a corporate job to pursue a business opportunity that taps into their personal interests, but want to build up their business to ensure its success before making the transition from the corporate world to self-employment. Whatever the reason may be, it's possible to do both. Here's how. 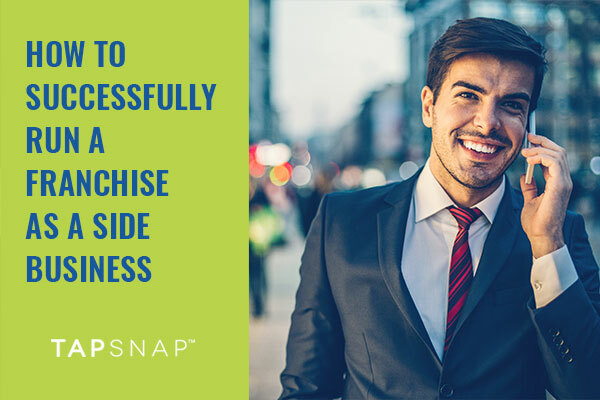 Make sure you find the right franchise fit for you. Some franchises require all your time and attention to ensure a successfully-run business. In order to find a manageable balance between your current full-time job and a new business endeavour through becoming a franchisee, it's important to choose carefully and find a franchise that will fit into your lifestyle and complement your current aspirations. Set a strict schedule for yourself. While you'll be eager to dive into your new endeavour, it will be tricky to manage your time effectively to keep up with the needs of both of your jobs. Create a manageable schedule for yourself to ensure that you allocate time to focus directly on the job at hand. You don't want to drop the ball on one job to keep the other afloat! Check out these small business time management tips to help you manage your time efficiently and effectively. It may make sense for you to bring on someone to help you with the little things, so that the time you devote to your side business is valuable and focused on what you're trying to achieve. Hiring someone else to manage your books, create graphic elements for your website, or respond to your emails may free up some time and keep you focused as your business flourishing into a successful endeavour. Create a separate work space for your side business. One thing that will help you to shift your focus from one job to another, is to create a separate work space for each - whether you run your franchise from a home office, or from another office space that is separate from your day job. Shifting location will make it easier to shift your focus, so you can keep your current priorities in check. Check out these tips on how to work from home like a boss for added tips. Juggling a full-time career and running a side business can have its challenges, but balance both has its rewards too. Be prepared to work hard (and often), and you'll reap the benefits that come with your jam-packed work life.